A family fun day – filled with free entertainment perfect for the summer holidays – will take place in Wrexham tomorrow. Taking place in Rhosddu Park, the event will feature a host of attractions including a bouncy castle, craft activities, a treasure hunt and face painting. 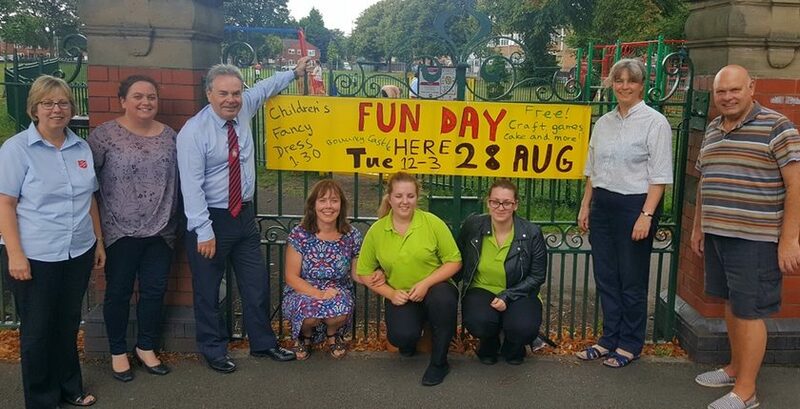 The play day has been arranged thanks to the hard work of several individuals and organisations, including Ian Lucas MP, The Salvation Army, North Wales Police and AVOW. Rhosddu Spar, St James’ Church, The Community Church, the Methodist Chapel and Rhosddu Community Council have also been involved. It is one of a series of similar events which have been held in the park, the last of which was in May when hundreds of people attended. Mr Lucas, MP for Wrexham, said: “The fun day in May proved so popular, it was decided we should do it all again this summer. “I’m delighted to be involved in organising what is a true community event – something which is made possible by organisations and businesses in Rhosddu and enjoyed by hundreds of people from Wrexham, young and old. “I’d like to thank everyone who has worked so hard in arranging the fun day and let’s hope it proves just as others we have arranged there. Entry to the park, on Garden Road, will be free and it will be full of attractions and stalls catering for all ages. The treasure hunt will include sweets provided by the nearby Spar store, while there will also be a bouncy castle, craft and play activities, a police car (subject to availability on the day), cakes and drinks provided by the Spar, Asda and Tesco, candy floss, face painting, a stall from Erlas Victorian Walled Garden, music from signing choir Wrexham Singing Hands and the Shotton family and friends, and more. Children are encouraged to come along in fancy dress and there will be a competition for the best costume, starting at 1.30pm. There are three age groups (up to four; five-seven; and eight plus) and the winners will receive certificates and sweets. The fun day begins at noon and ends at 3pm.